How do I activate Mathworks Software? How do I download and Install MatLab Software? The Chemistry SINC Site has 24 computers, a teacher station with data projector and a printer with a Pharos release station. - The Chemistry SINC Site has 21 Windows PCs total. - 18 PC's are arranged in groups of six on 3 round tables and a row of three computers including one teaching station, one scanner station and one handicap accessible station. - There is one Printer with a Pharos release station. 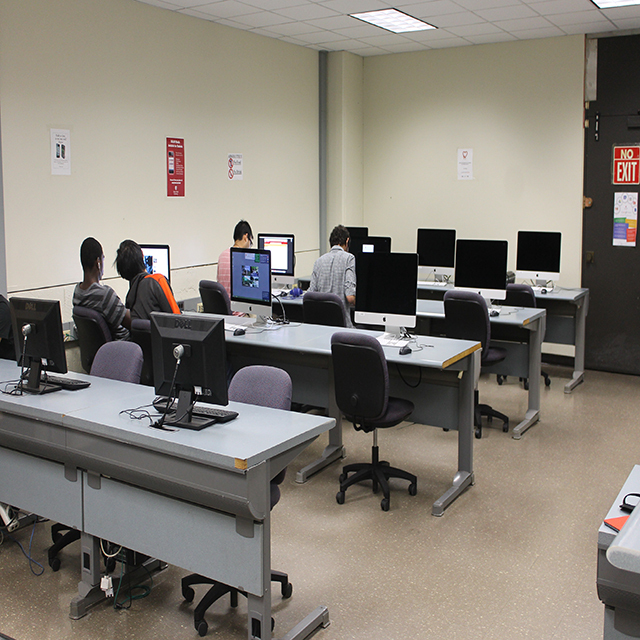 - The Computer Science SINC Site is a dedicated computer classroom with no public hours. - The Computer Science SINC Site has 30 Windows PC's, one printer with a Pharos release station, one scanner and a teacher station connected to a data projector. - This is SINC Site is located in the Old Computer Science building, nearest the Javits Lecture Center. The Engineering SINC Site is a dedicated public lab with 39 Windows PCs, two printers one with a release station and the other as a walk-up printer and one scanner station. The Harriman Hall SINC Site has 30 Windows PCs and a teaching station connected to a data projector. It also has a scanner and a printer with a Pharos release station. - The Humanties Lounge, Rm. 1024, on the first floor has 15 DoIT supported Windows PC's and one printer with a Pharos release station. - The Humanities SINC Site has 25 PC's and a teacher station connected to a data projector and one printer with a Pharos release station and a scanner. **The Humanities SINC Site is a dedicated computer classroom with no public hours. - The Life Sciences SINC Site has 25 Windows PCs, and one teacher station connected to a data projector. - To included: a printer with release station and a scanner. 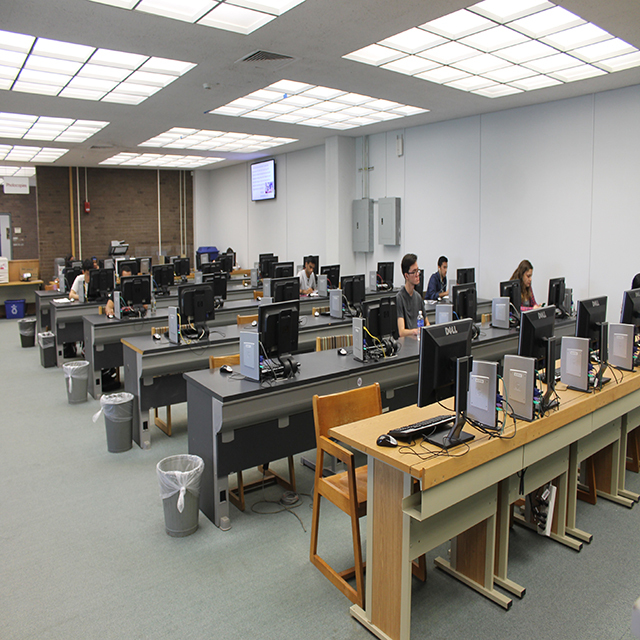 - The Melville Library - Central Reading Room has 46 Windows PC's, 4 - Printers with Pharos Release Stations supported by DoIT. - The computer classroom has 28 Windows PCs and a teacher station connected to a data projector and a scanner. - The forward room has seven Windows PCs and one printer with a Pharos release station. 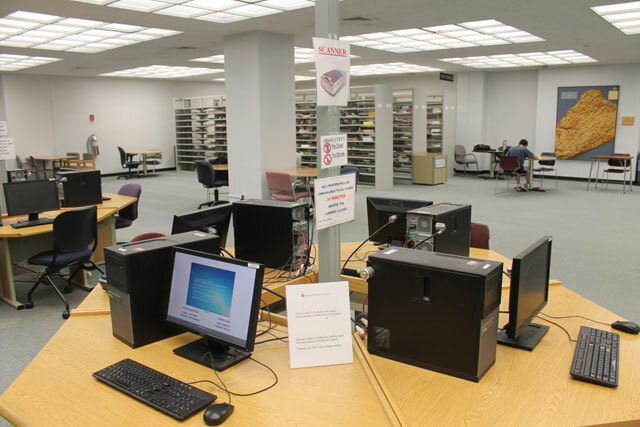 This area is available at all times for open lab hours. 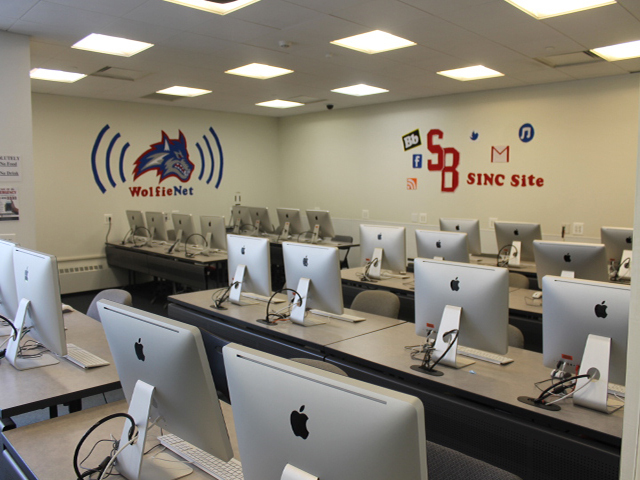 The Sports Complex SINC Site (Goldstein Center) has 24 Windows PC's and one printer with a Pharos release station. 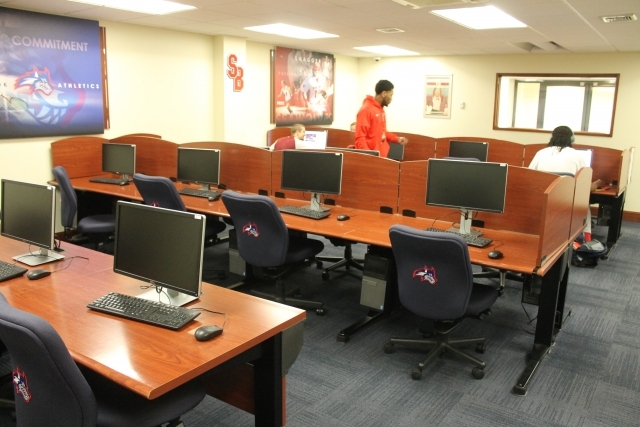 The Tabler Center computer lab is open the same hours of operation as the building. Check web page for current hours.